Modern Comfort & Unparalleled Performance Shine Through Our Yacht Elegant and graceful, yachts are like small estates on the water. 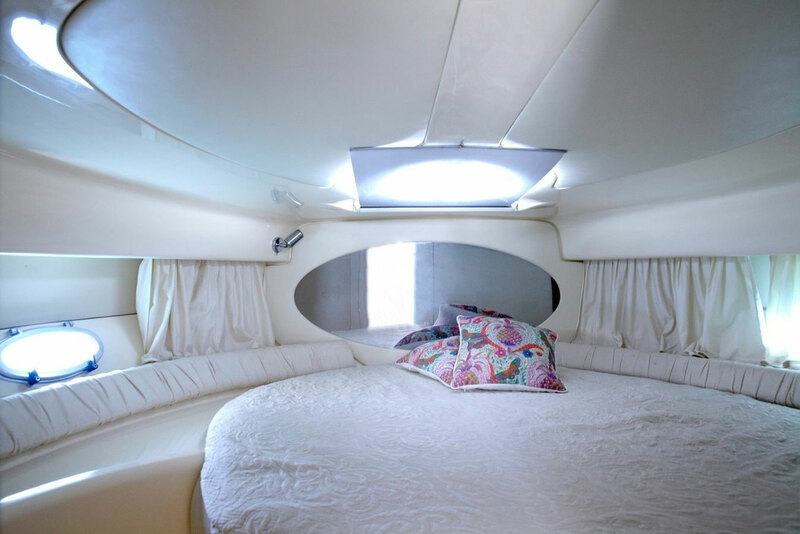 Step aboard a Mocking Jay Tours yacht and it’s easy to see why. 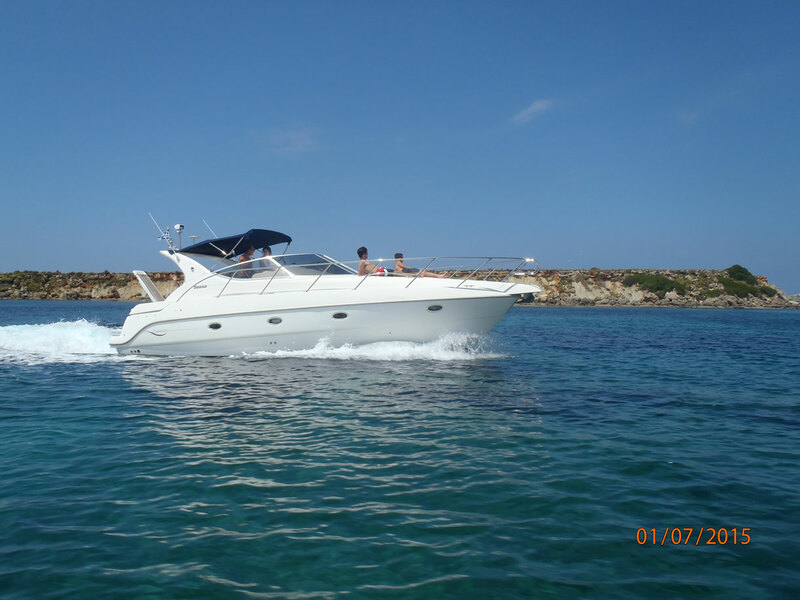 Our yacht is a strong lead in terms of comfort, ergonomics and style. 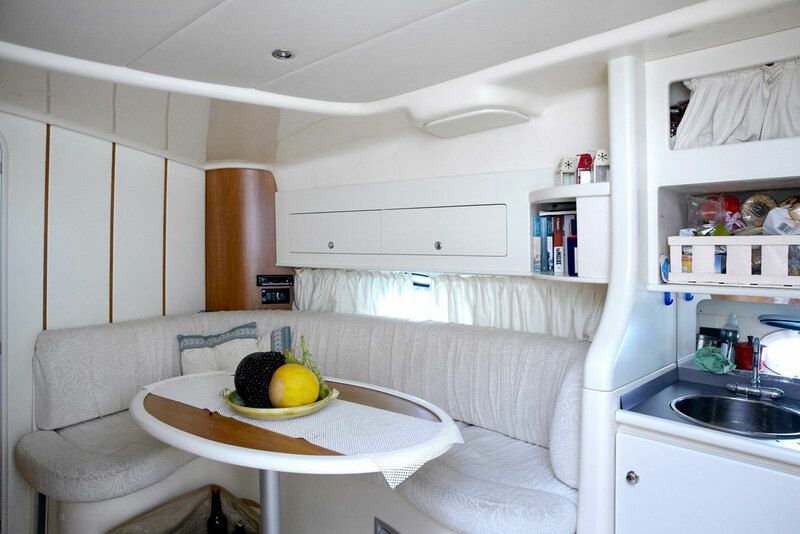 A luxurious sailing vessel that offers a combination of comfort, luxury and performance, with a lot of space both over and below the deck. Creating a sense of hospitality and with an elegant and functional use of space the yacht is idyllic for sailing across the azure Ionian waters. Put some spice in your life by chartering a yacht and sailing on a private isle tour! Pristine sandy beaches, lush vegetation, and azure water combined, make for the perfect, idyllic cruise. 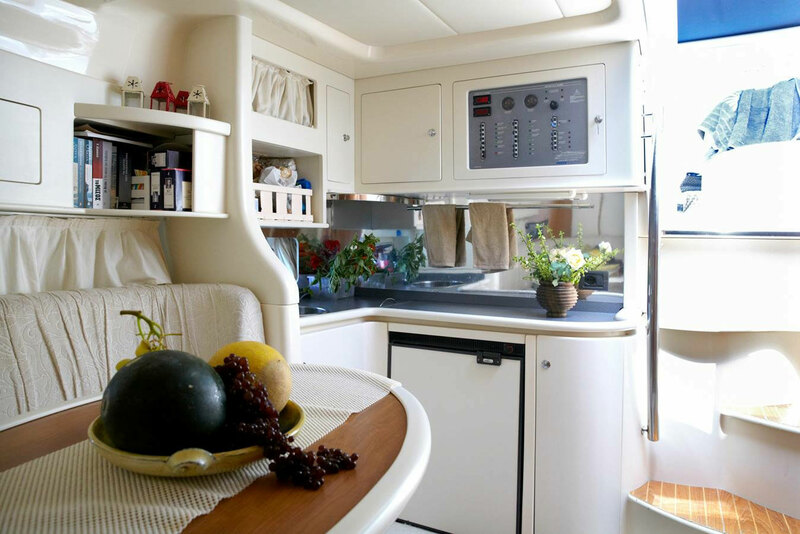 The vessel is comfortable, provides excellent space both inside and out, and you are close to the water and nature. Departure from the city of Argostoli. First stop: White Rocks Beach for swimming. Second stop: Vardiani Beach for snorkeling, drinks and snacks and exploring the premises. Fourth stop: Vatsa Beach or Xi Beach for lunch. Passion cannot be measured by degrees, and true enjoyment cannot be achieved at the push of a button. Our charming vessel sails with safety and enjoyment as the foremost and most prized considerations. Every holiday with us is more than just a cruise – it is truly a unique experience. Second stop: Zeus Islet for snorkeling, snacks and refreshments. Third stop: Spartia Beach for swimming and lunch. Last stop: Avithos Beach for swimming and snorkelling. Kefalonia is an ideal place for short sailing trips, around the island and its impressive sights. A perfect yacht charter destination – offering turquoise waters teeming with marine life, gorgeous beaches, lush greenery and imposing mountains. It makes for an unbeatable holiday combining history, beauty, relaxation, cuisine and secluded anchorages. First stop: Fteri Beach for swimming. Second stop: Porto Atheras for swimming and lunch. The beauty and unspoiled nature of this Ionian island plus old world charm, makes Kefalonia one of the fastest growing charter destinations, with many great ports and attractions that are easily navigable. First stop: Platia Ammos Beach for swimming. Second stop Vatsa Beach or Xi Beach for swimming and lunch. Last stop: Gradakia Beach for swimming and snorkeling in the surrounding caves. Diverse in every way, the Ionian Islands can be rugged or picturesque, vivacious or relaxed, glitzy or off the beaten-track. With a wealth of glorious destinations to choose from they can please you in whichever way you and your new-found partner desire. 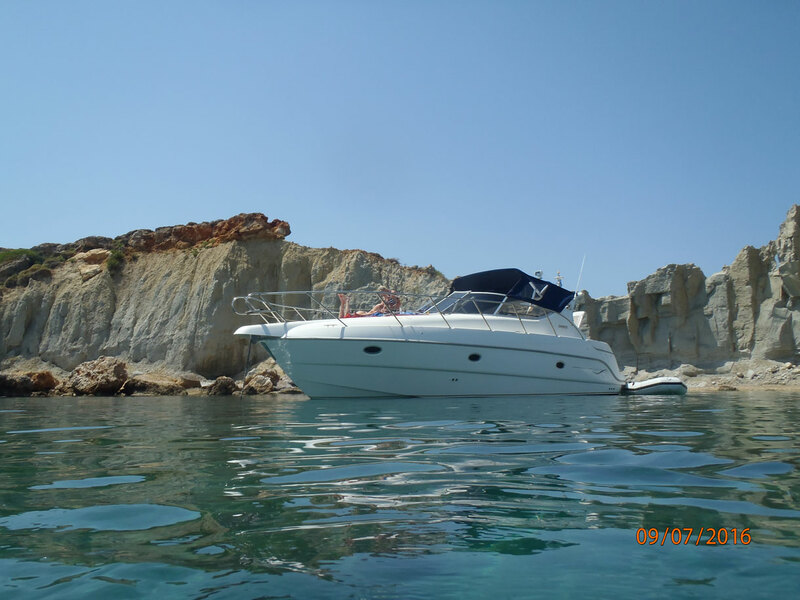 Visit parts of Zante, just oozing with romance around every headland. This cruise has everything that a honeymoon requires; relaxation, privacy, discovery and romance. First stop: Navagio Beach at Zante for swimming, snacks and refreshments. Second stop: The Blue Caves of Zante for swimming and snorkeling. Last stop: Agios Nikolas for lunch. Prepare yourself for a day of fun in the sun. 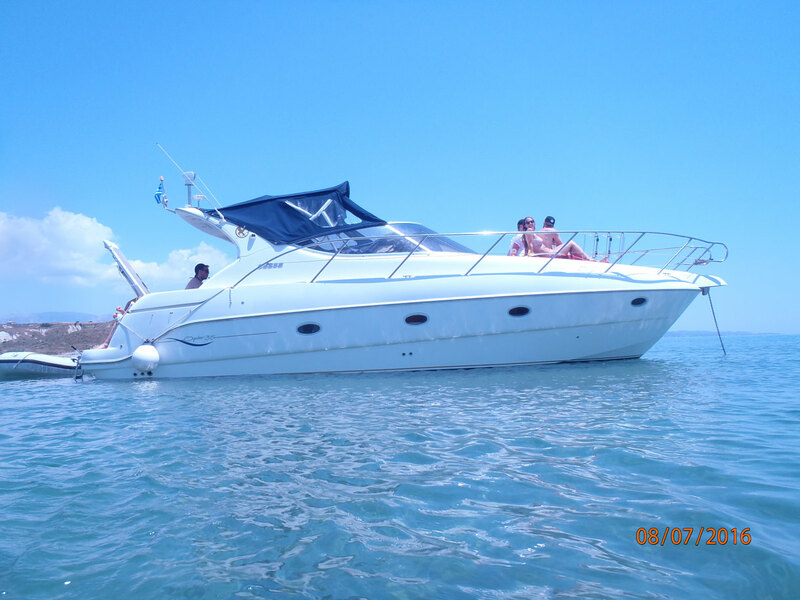 A day charter is the best way to explore the local coastline. Start the morning with a light breakfast, head to a secluded bay for a swim and then drop anchor and head ashore to one of many highly recommended restaurants and local taverns. An ideal chance to sample the amazing island cuisine! Departure from the village of Fiscardo. First stop: Scorpio Sparti and the surrounding islets of Nidri. Second stop: Meganisi for swimming. Last stop: Vathi for lunch. First stop: Afales Ithaca for swimming and snorkeling. Second stop: Marmakas for drinks and snacks. Last stop: Kioni for swimming and lunch. This diverse Greek island offers travelers a unique combination of pristine beaches with azure waters, amazing history and places of interest, quaint villages, Greek wine and mouthwatering local tastes. What Greek water cruising is all about! Natural beauty, cuisine, charm and unspoiled beaches, all in the presence of good company. Last stop: Alaties for lunch. Centuries of history, architecture and culture fuse with crystal clear waters and spectacular scenery to make Kefalonia an exciting charter destination. Beauty, class, cuisine, history, the island truly has it all. First stop: Agia Sofia Beach (Komitata Village). Last stop: Agia Efimiafor lunch. The first important voyage in a couple’s life is always better on a yacht! Beloved couples and honeymooners can choose to relax and celebrate their love on a wonderfully romantic cruise, as they watch the dazzling colors of the sunset painting the horizon. Famed for its tranquility and harmony the island is perfect for any couple looking to start their romantic adventure together surrounded by timeless beauty, while busy having fun or just sitting back and relaxing. First stop: Platia Ammos Beach for swimming, snacks and refreshments. Second stop: Petani Beach for snorkeling and lunch on board. Last stop: Gradakia Beach, swimming and snorkeling in the surrounding caves. Kefalonia is an oasis of romance waiting to be discovered and explored. The island is beautiful and with stunning scenery that provides a perfect setting for your very own love story to blossom. Beautiful beaches, intriguing history, sumptuous local tastes and a world famous, relaxed yet vivacious lifestyle, are all combined under the warm Ionian sun. First stop: Karavados for swimming and snacks. Second stop: Pessada Beach for swimming. Last stop: Spartia or Avythos Beach for lunch on board.